Amatria evokes a core theme of abiogenesis, the emergence of life during the earliest stages of development of the universe. Amatria evokes a core theme of abiogenesis, the emergence of life during the earliest stages of development of the universe. 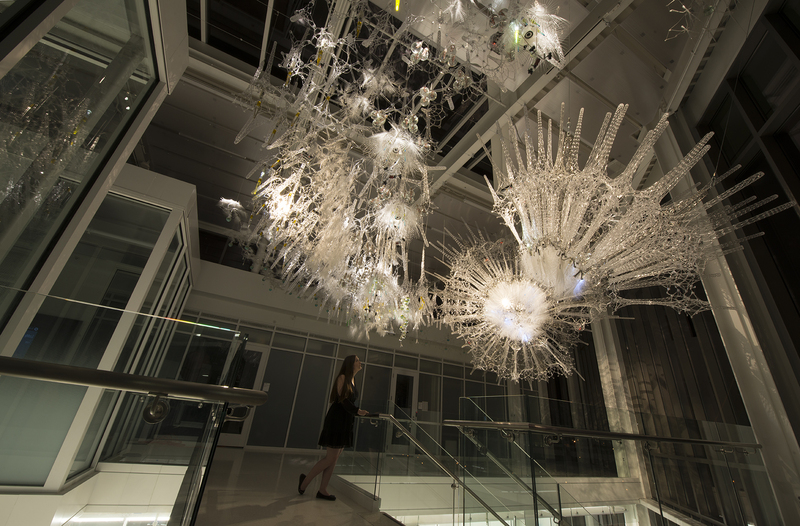 Soaring clouds and tangled thickets of 3D-printed formations are embedded with artificial intelligence that produces waves of constantly-changing sound, and these whisper and call in response to the movements of viewers. Hovering, lightweight meshes create delicate canopies filled with quivering, pulsing mechanisms above and around this artificial forest, while densely massed spheres emulating the hollow bones of birds and mammals are lined with bubbling prototype cells filled with self-renewing chemistry. 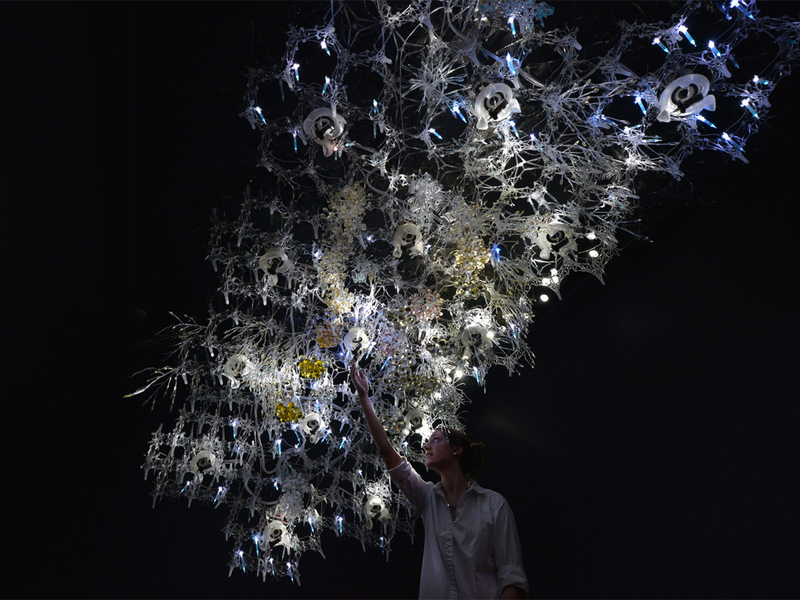 By merging lighting and motion sensors with atmospheric sounds, Beesley and his collaborators in the Living Architecture Systems group create a ‘living’ sculpture that breathes, undulates and shifts in response to the movements of visitors. 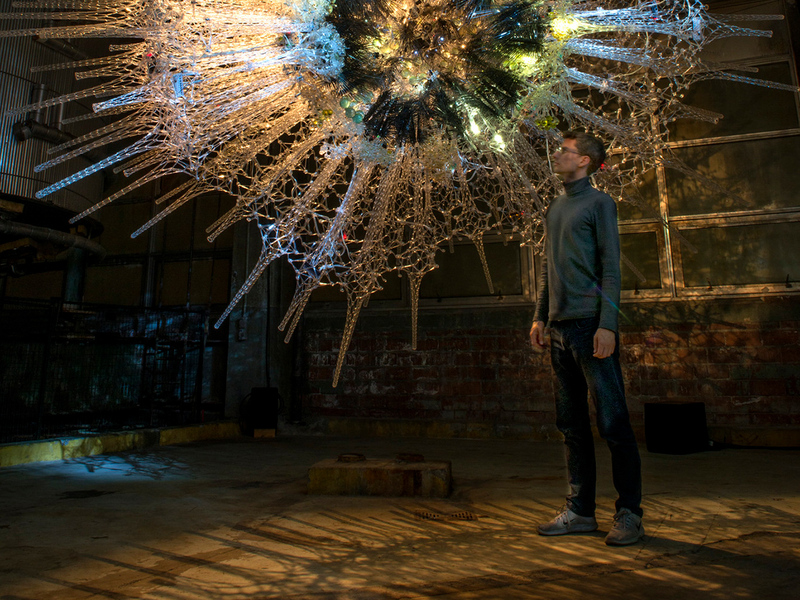 Behind this sculpture lies experimental research that could transform the future of architecture. This asks: what if buildings could know us, talk to us and even care about us? Amatria includes core contributions led by Amsterdam’s 4DSOUND, Waterloo-based engineers and neuroscientists including Dana Kulic and Colin Ellard, and Indiana University Distinguished Professor Katy Börner. 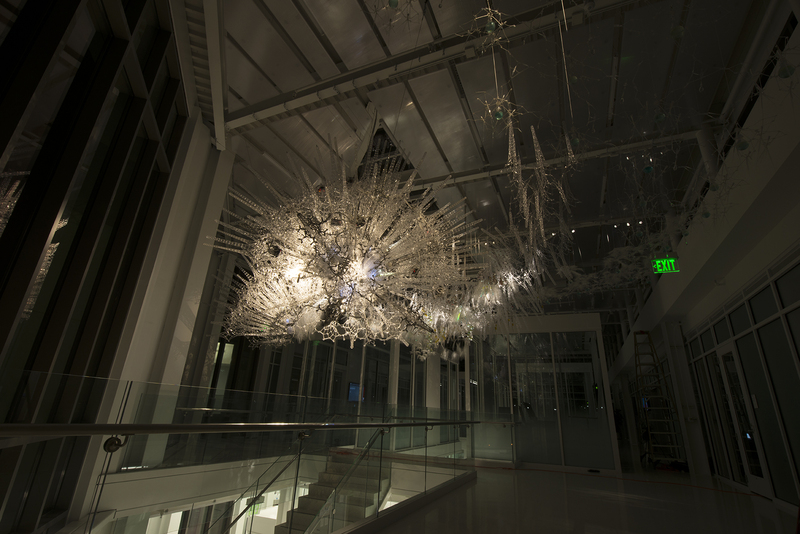 Custom data visualizations designed by IU students and faculty also show the installation’s sensor and actuator types, their positions and communication flows, and complex behaviors unfolding over time. 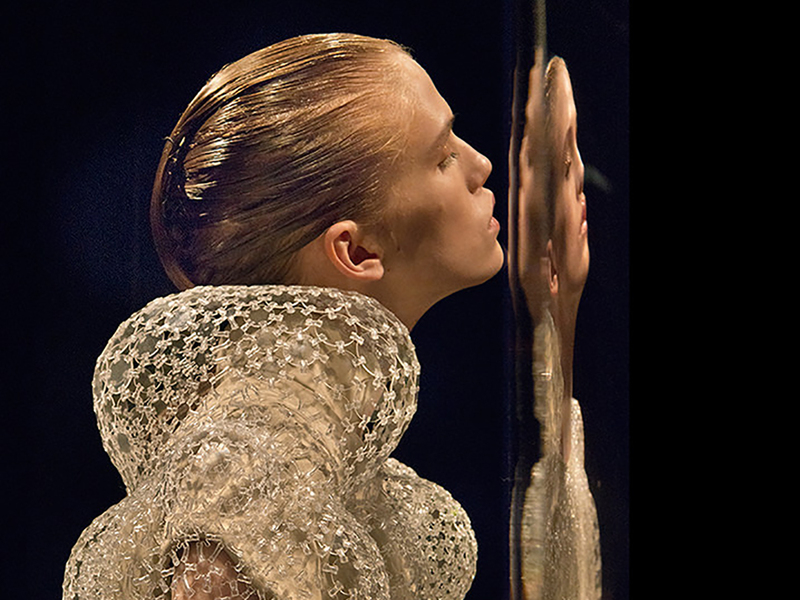 an interdisciplinary research cluster of architects, artists, engineers, scientists, and industry partners that aims to create living, adaptive, and empathic architecture, resulting in a more harmonious relationship between people, buildings, and environments.